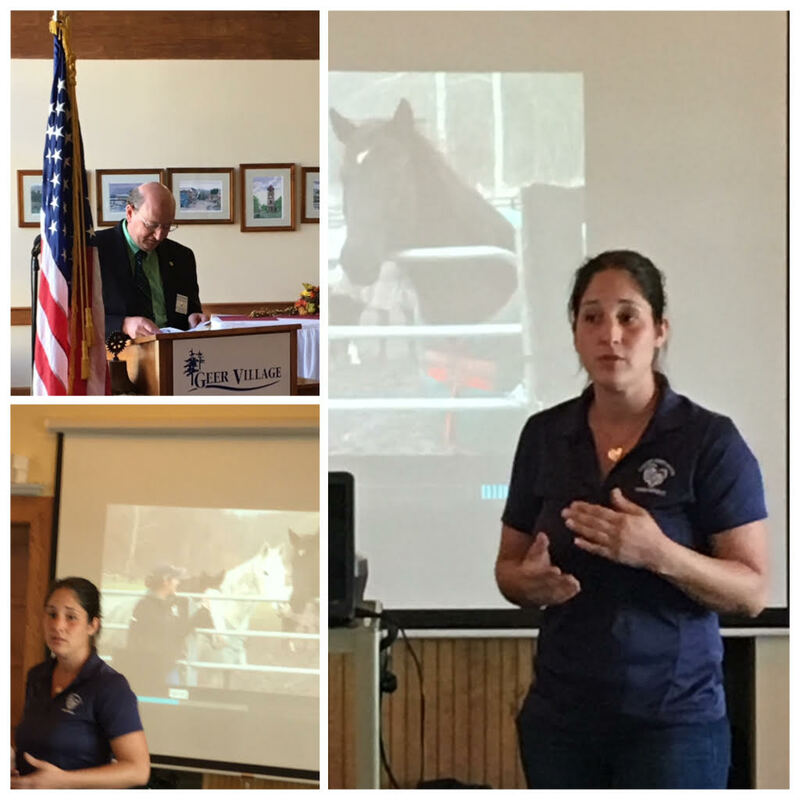 The Tuesday, 10/18, lunch program of the Salisbury Rotary Club featured Deanna Marcus of Lucky Orphans Horse Rescue Equine Sanctuary (Dover, NY). This non-profit organization, staffed completely by volunteers and funded completely by donations, is dedicated to providing a safe haven for unwanted, abused, neglected horses and to unite humans and horses in a safe environment to rehabilitate the horses while using their stories and struggles to foster understanding & inspiration in children, young adults and the community. FMI: LuckyOrphansHorseRescue.org Also speaking to the club was Rob Belden (New Milford Rotary Club), the Assistant Governor for Area 8 of which SRC is a member. Rob distributed copies of the current Directory for Rotary District 7890 and highlighted its content.